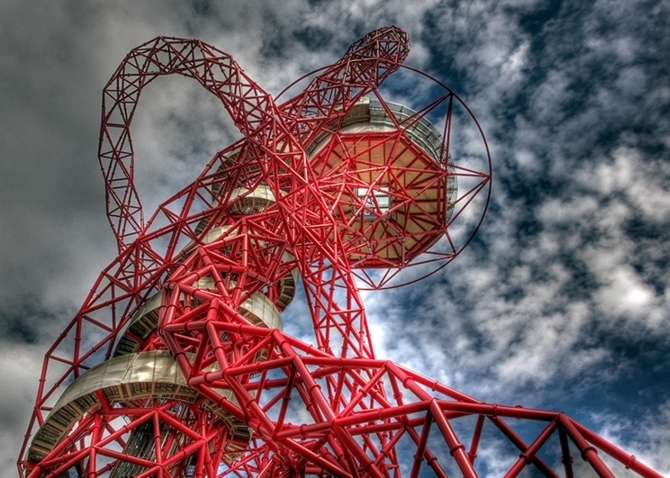 The ArcelorMittal Orbit tower made a loss of £520,000 in the 2014-15 financial year, a report from Labour London Assembly Member Len Duvall, has revealed. These revelations are made all the more cringe-worthy because the sinewy sculpture — created by Anish Kapoor for the London 2012 Games, and opened to the public in April 2014 — was forecast to have made a profit of £1.2m by now. The London Legacy Development Corporation (LLDC) — the team behind ensuring a 'legacy' at the Queen Elizabeth Olympic Park — reduced its annual visitor forecasts for the Orbit from 350,000 to 150,000 last year. Even then, analysis shows that only 124,000 visits were made from April 2014-March 2015. Said Duvall: "It’s clear that this is yet another Boris Johnson vanity project of towering proportions. Instead of paying back some of the £3m of taxpayer investment the Orbit is actually losing £10,000 a week, an awful record even by Boris's standards. "It looks like we can now add the Orbit to the growing list of failed Boris Johnson pet projects alongside the Thames Cable Car, Estuary Airport and fault-riddled Boris Bus." The mayor's office remains defiant, albeit with no real figures to combat those accusations of financial loss. An LLDC spokesperson from told Londonist: "The ArcelorMittal Orbit was one of the standout successes of the 2012 Games and has seen almost 200,000 visitors since reopening in 2014, which is a tremendous achievement. "It is establishing itself as a popular visitor destination. As with any attraction, we are constantly looking at ways to enhance the experience to attract more people to this iconic landmark." You can't accuse the LLDC of not trying. While people can currently abseil from the Orbit, next year it'll be turned into what it probably should have been all along — a huge helter skelter. The LLDC will be hoping this new funfair-inspired plan will put a smile back on their faces.